Magnetic cutdown is an experimental cutdown method. It would require just an electromagnet and a permanent magnet. 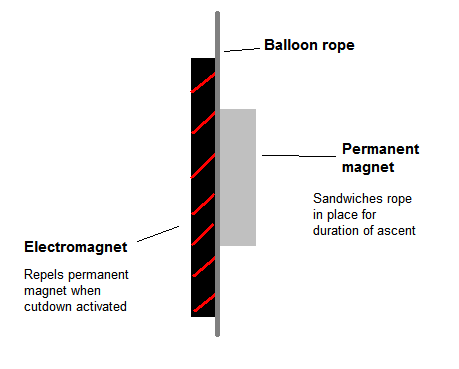 During ascent, the permanent magnet would sandwich the balloon rope in between itself and the electromagnet. 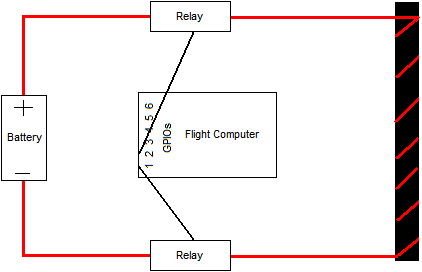 When cutdown is activated, current will be passed through the electromagnet, positioned so that both magnets poles are adjacent (with the rope in between), repelling the permanent magnet holding the rope in place, and releasing the balloon from the payload.